For over a century, the village of Ardara was at the forefront of the production of handwoven Donegal Tweeds. A building known as “The Mart” was the central marketplace with all the local tweed produced, inspected, stored and sold inside its walls. However, in the sixties, the arrival of modern machinery decimated the indigenous industry. A fifth-generation hand weaver, Denis Mulhern, had a strong desire to ensure that the tradition of handweaving was maintained and preserved. 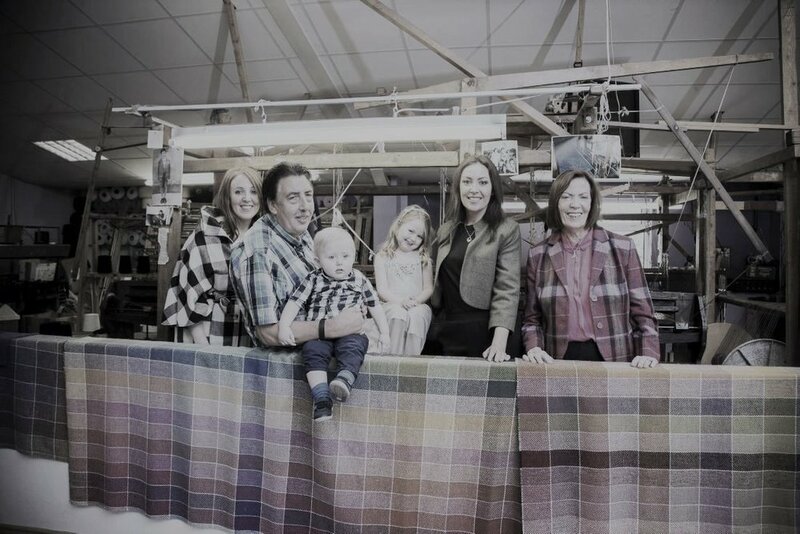 Ten years after the collapse of the local tweed industry, he started a small bespoke tweed company called “Triona” from the front room of the family home. In 1992, we began to welcome visitors from across the world to showcase first-hand the skills involved in hand weaving. All our tweed is made from 100% Irish lambswool. Once woven, it is tailored to produce unique pieces of clothing including coats, jackets and capes. From start to finish, experienced craftspeople ensure that the garments are made to the highest of standards and worthy of its Irish heritage. After three decades, Triona, remains a family business. Our success is thanks to the determination and hard work of our loyal staff. Now an international tweed brand with two retail stores and a visitor centre, the future is bright. We are excited to work with Irish House, a premium online retailer, to offer customers exclusive access to our authentic Irish Tweed clothing. Like us, Irish House, has a passion for Irish heritage and appreciation for quality Irish products. As well as our tweeds they offer customers a variety of clothing to choose from including Aran sweaters, Irish knitwear, and Celtic jewelry.